Throughout the year we are not always able to share with you every story that happens as a result of your choice to drink HOPE Coffee. However, we thought you might like to meet a few more people whose lives you changed this year! Thank you for choosing HOPE Coffee! 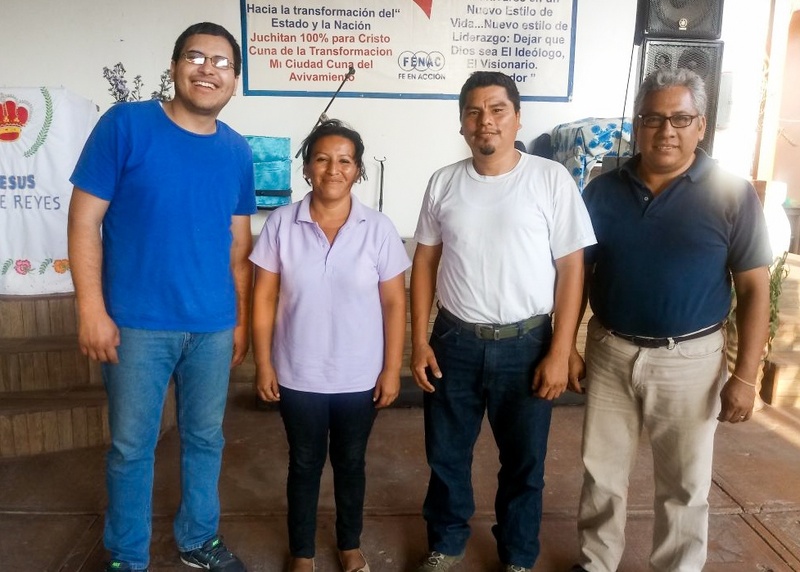 (January) Puebla, Mexico– HOPE Coffee partnered with Iglesia Biblica Naciones a la Luz with Pastor Miguel Angel Loaiza Bouchant to provide Ismael, Rufina and their two young children with a roof for their home! At first, Ismael did not want help from anyone from the church but his need became desperate and he decided to accept their offer. At the end of the project the couple decided they wanted to attend a Bible study! 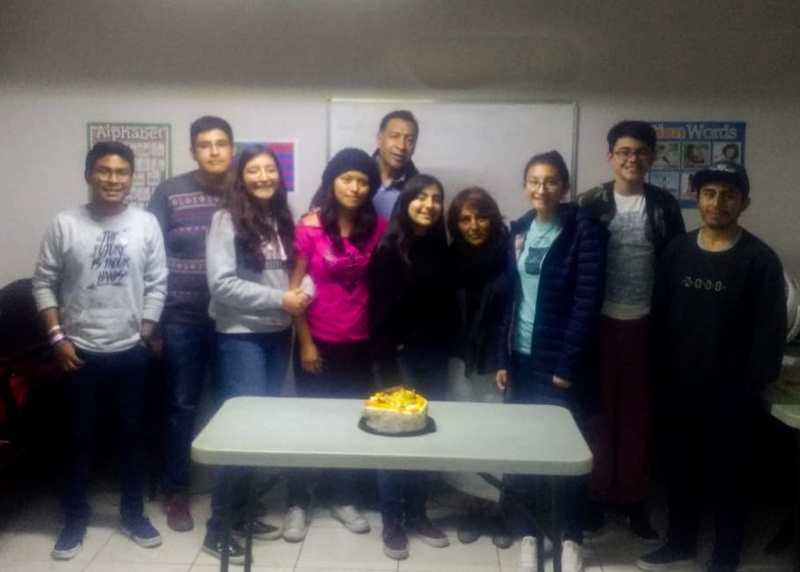 (March) Puebla, Mexico– Pastor Enrique Gonzalez at Centro Cristiano Philadelphia No 10 partnered with HOPE Coffee to construct a bathroom for Sergio, Grindelia and their three children. After seeing Christ’s love in action, the family decided to attend church for the first time! 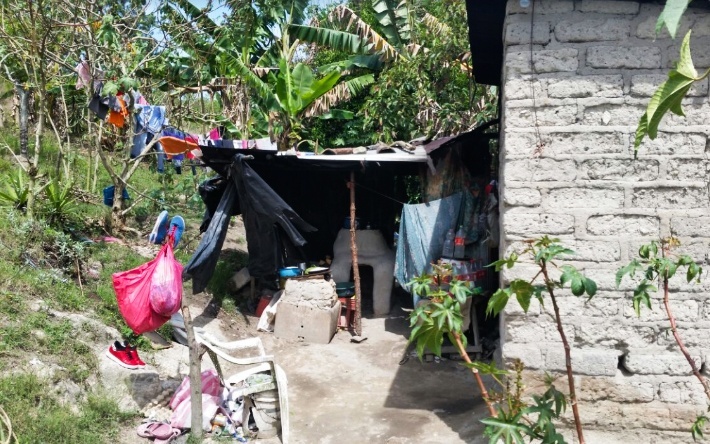 (April) Orica, Honduras– Roger, Elena and their two kids lived in an unsafe home with walls that exposed the outdoors. Iglecia Centro Americana La Fe served this family by installing new windows, floors, fixing the cracked walls and providing electricity! 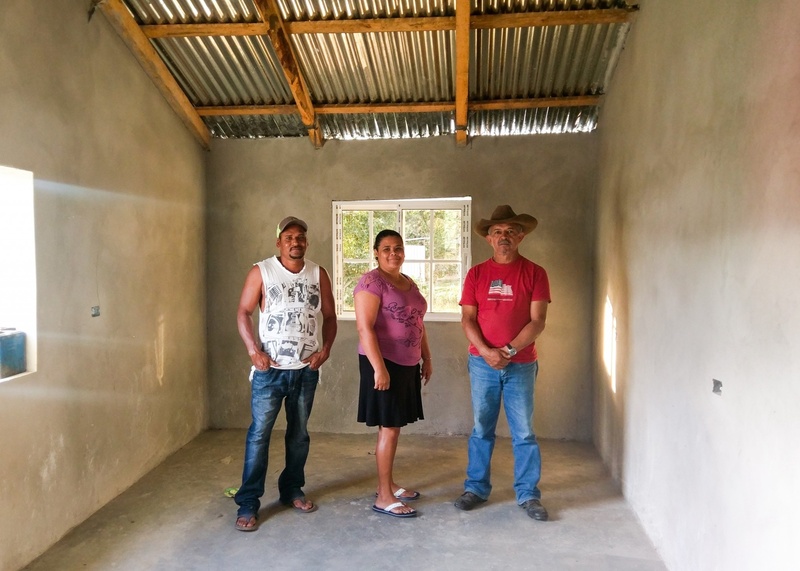 The couple was not open to hearing the gospel message before the construction but during the project the pastor was able to share with Jesus’ love with them. They now accept visits from the pastor and are building a relationship with their local church. 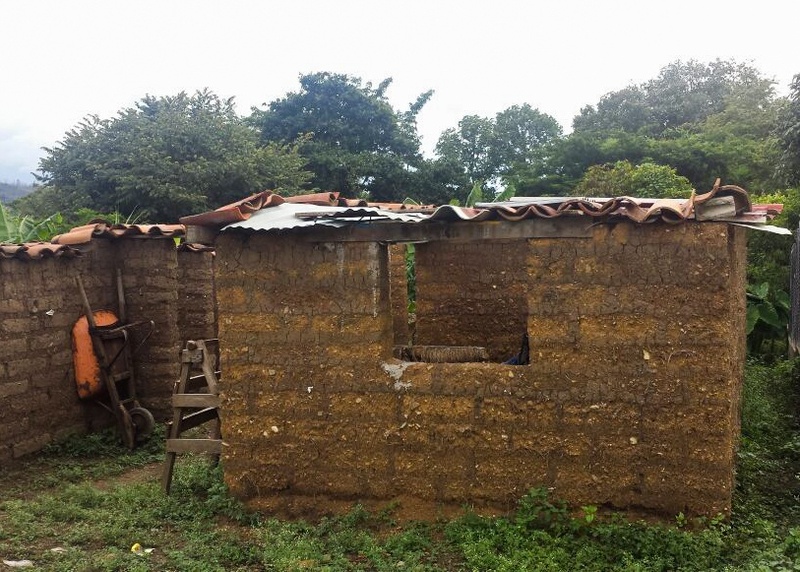 (June) Siguatepeque, Honduras– HOPE Coffee partnered with a local church, Iglesia Sala Evangelica and Pastor Orlando Japas to provide a kitchen and bathroom for Iris and her family. Iris does not read well so Pastor Orlando shared the gospel by drawing pictures for her. 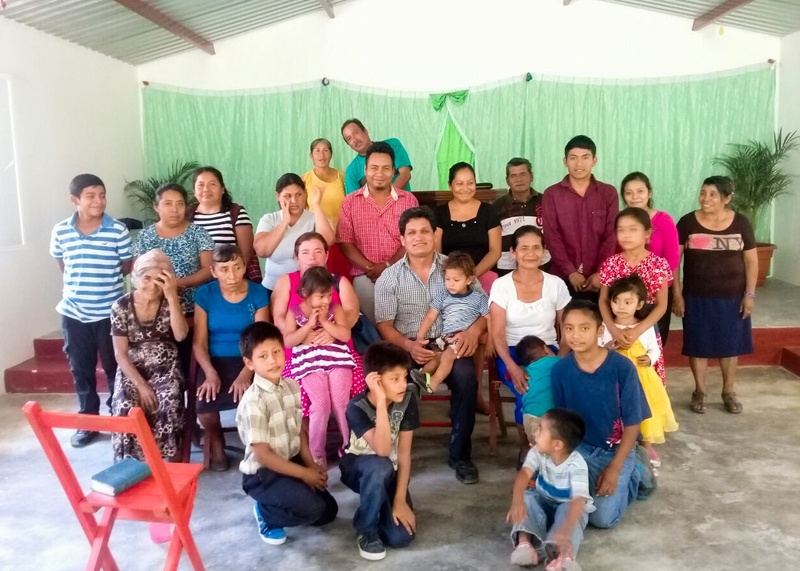 (July) Chiapas, Mexico– Solo Cristo Salva along with Pastor Sergio Castillo Colunga partnered with HOPE Coffee to build Antonio, Maria and their two kids a bathroom of their very own! 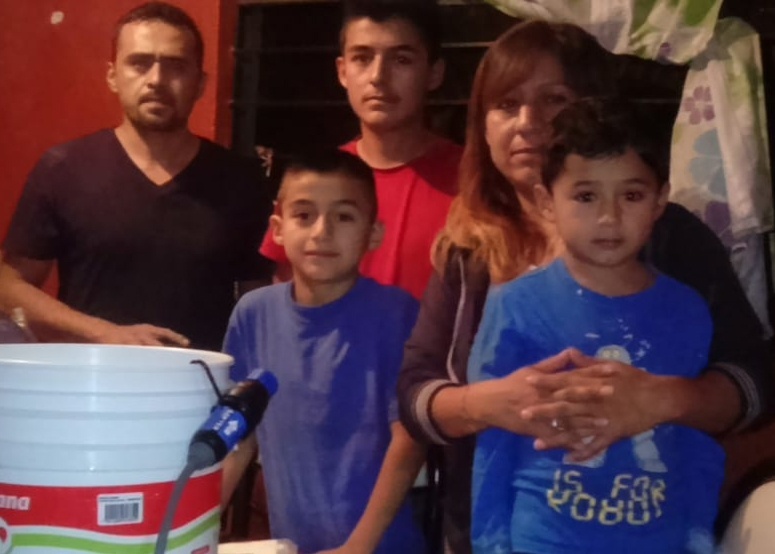 (July) Puebla, Mexico– Pastor Sebastián Hernández Esteban from Iglesia Biblica Labranza de Dios partnered with HOPE Coffee to distribute clean water filters to the Solis family and the Hernandez family (pictured below). Before now, neither of these families had access to clean water! Their interest in the gospel message has deepened greatly as they strengthen their relationship with the people of the local church! 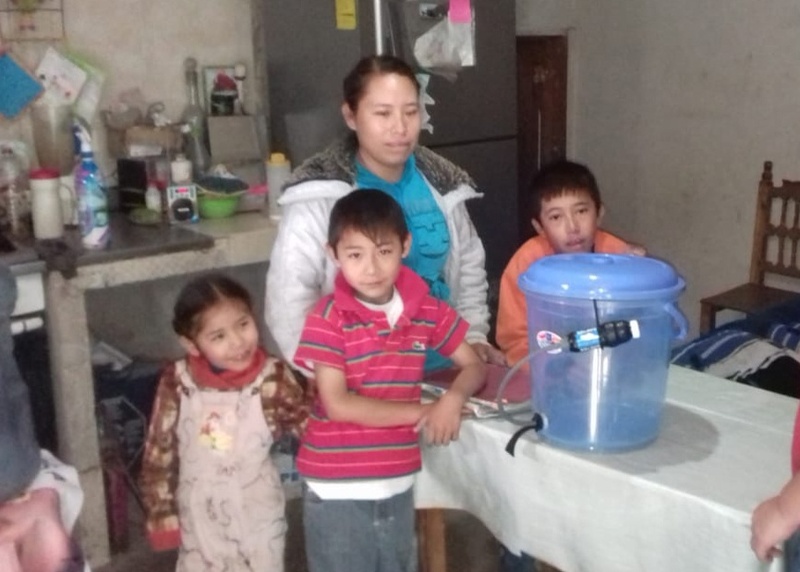 (July) Puebla, Mexico– Pastor Sebastián Hernández Esteban from Iglesia Biblica Labranza de Dios partnered with HOPE Coffee to distribute clean water filters to the Solis family (pictured in previous picture) and the Hernandez family. Before now, neither of these families had access to clean water! Their interest in the gospel message has deepened greatly as they strengthen their relationship with the people of the local church! 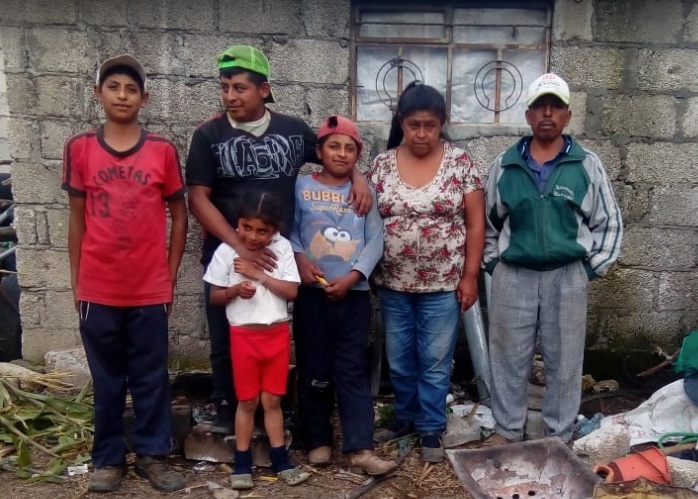 (August) Puebla, Mexico– Pastor Carlos Balderas of Iglesia Biblica El Sembrador partnered with HOPE Coffee to help a family who had lost their home to an earthquake. Pedro, Veronica and their three kids now have a safe home of their own. After the project was complete they admitted that they now see Christians as friends. 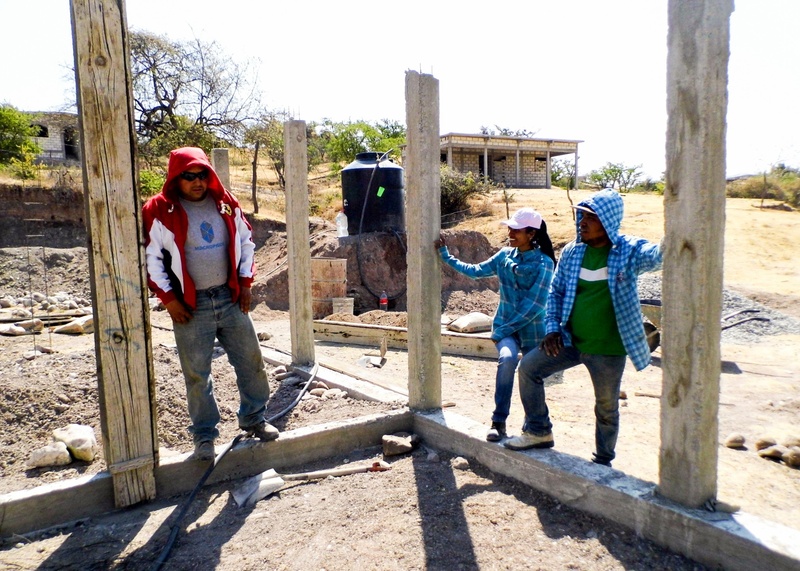 (November) Puebla, Mexico– Iglesia Biblica Sinai and their pastor, Oscar Viilagomez Sanchez, partnered with HOPE Coffee to help a family of with three teenagers fix their roof and walls and provide them with a gate. Since the project has been underway the family has developed a strong relationship with the church and has been attending for over a month! The teenagers have been especially impacted and are now involved in the church’s youth group. 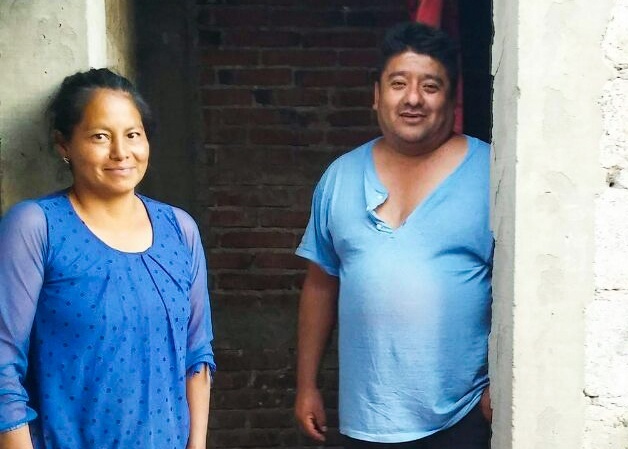 (December) Puebla, Mexico– A local church, Dios es Amor along with their pastor Ángel Contreras, partnered with HOPE Coffee to provide Raymundo, his wife and six kids with a bathroom of their very own! They’re now very open to relationships with Christians and to the good news of Jesus! 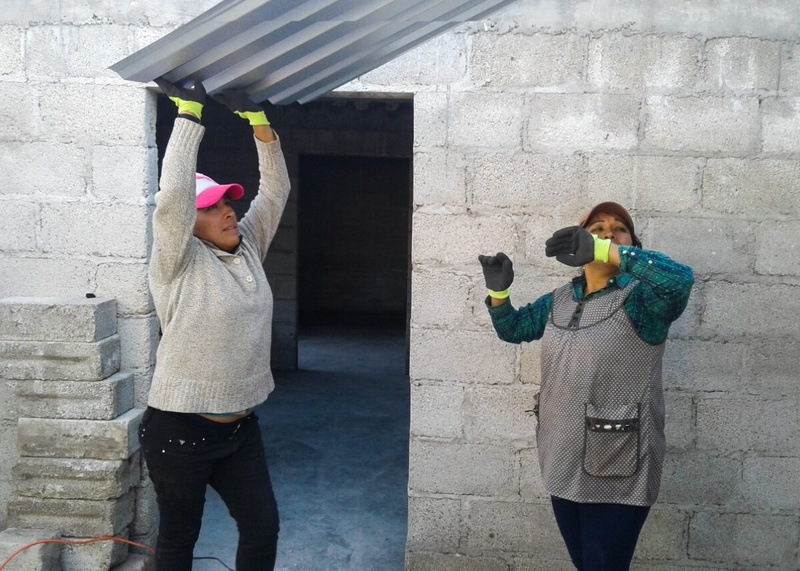 (December) Puebla, Mexico– Pastor Adan Sanchez of Iglesia Bautista Cristo La Única Esperanza partnered with HOPE Coffee to build a house for Maria, a single mother of three, who lost her home to an earthquake. Maria was a new believer and seeing this love poured out on her has deepened her faith greatly! Print this story for your HOPE Partner Display! Find out more about how you and your organization can start to Serve Better with HOPE Coffee!